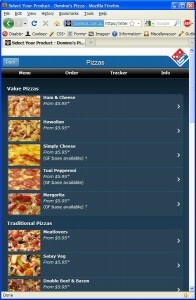 Domino’s Pizza has new mobile ordering site, and any value or traditional pizza only $5.95 each pick up. This deal is for mobile user only. It will re-direct non-mobile user to normal online ordering site, and the price jumps up to $7.95. 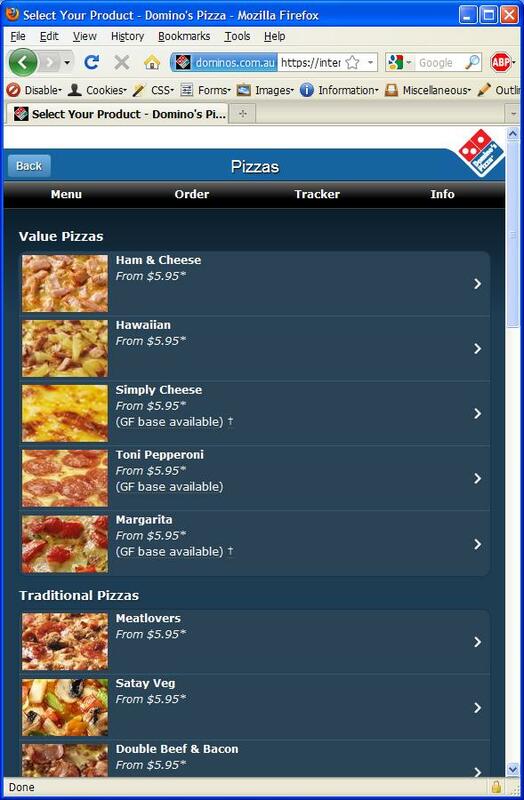 From technical perceptive, how does Domino’s server determine a mobile user? Normally a web request contains “User-Agent” to help web server tell who is visiting. This is a typical example of web request. If we change the “User-Agent” content, we can cheat domino’s web server and order $5.95 pizza. Download user agent switcher for your Firefox and install.